Home College Radio Fund Launching the College Radio Fund! Launching the College Radio Fund! The day has finally arrived! October 3, 2014, is College Radio Day for hundreds of college radio stations across the country. 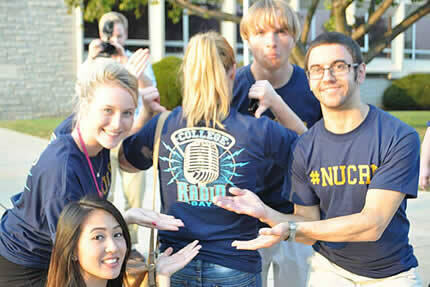 It’s a day to celebrate the importance of college radio and the impact it has upon students and local communities. It’s also the day that we are proud to launch the College Radio Fund (CRF), accepting donations that will fund student scholarships and college radio station grants. The CRF is going to wholeheartedly support college radio and the many students that find their voices because of it. We are an IRS recognized 501(c)3 public charity. So, we are proud to launch the “I Love College Radio” campaign. 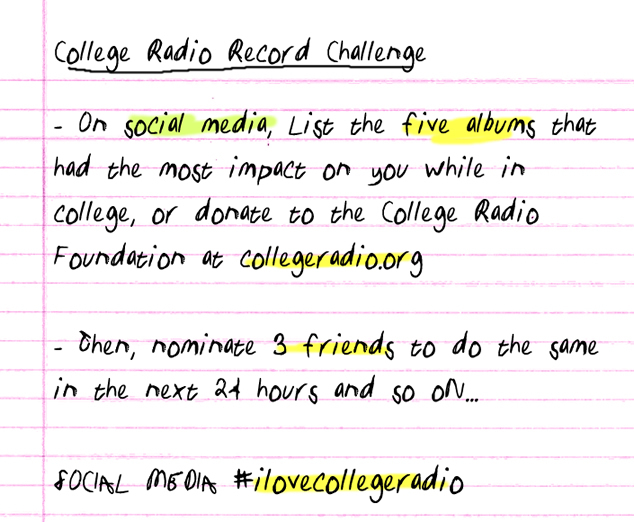 #ilovecollegeradio is our dedicated hashtag for this campaign. The campaign will be kick-started by our “College Radio Record Challenge” which will use social media to promote the importance of college radio as a musical tastemaker. Please donate now – if you care about college radio, and want to support the students and the stations that produce compelling programming content every day of the year. Your donation is tax deductible. Will you stand with college radio? NextAnnouncing a new album for 2015!